Did you know that at Disney's Castaway Cay there is a sunken Nautilus from the old 20,000 Leagues Under The Sea ride? Did you also know that I went there in December and braved the cold water to take photos of it for you guys? Well, I did! 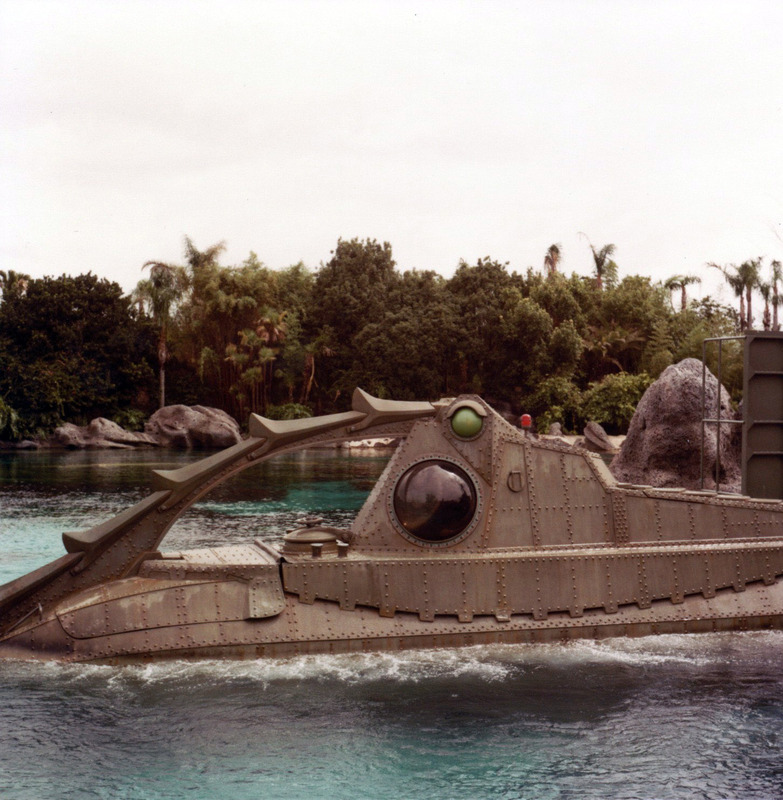 Here's a picture of a Nautilus in its glory days. What's interesting is that the parts you could not see when the ride was open are now the only parts you see. Meaning, it is now upside down, sunken in the sand. I also found this guy hanging out down there. I'm so glad you posted these. When I went to Castaway all I wanted to do was eat ribs on the beach and snorkel around this thing. Which I did. But I had no way of taking photos under water and that totally bummed me out. These photos are great. Oh and when I dove in and stuck my hand in some hole to try and pull out some sort of control panel, the thing cut up my hand. But it was worth it. Yep. Awesome pics. I wonder why they put it upside down though. 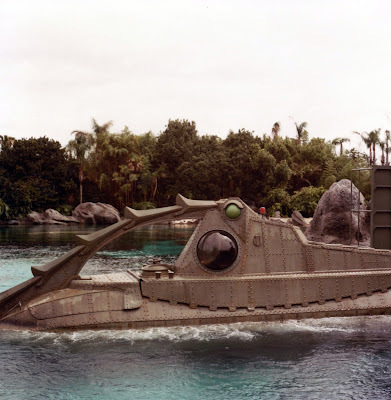 Funny is that it looks to be in better shape than the Nautalis in DLP!